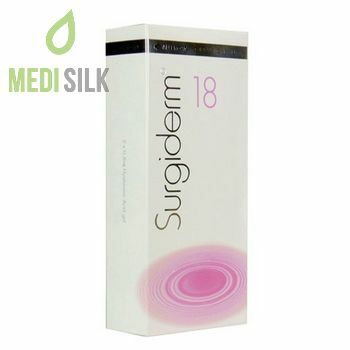 Surgiderm 18 is an active dermal Hyaluronic Acid filler from Allergan’s range of high-quality dermal care products that restores the youthful look to your eyes, cheekbones, chin, forehead and lips. Hyaluronic acid (HA) is a multifunctional, biodegradable organic substance, that maintains the elasticity and strength of the skin and bones. Its dependence on metabolic processes often leads to HA’s reduction in the body and imposes the need of further acquisition. 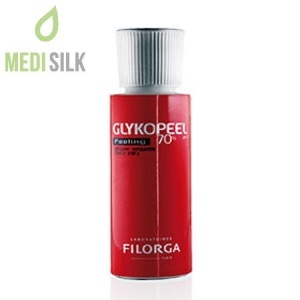 The hyaluronic acid formula of the Surgiderm 18 dermal filler makes it a preferred product by medical professionals. After the use of Surgiderm 18 dermal filler, short-term side effects such as redness, swelling, HA intolerance, mild pain or itching in the injection area are possible. The unpleasant feeling lasts only a few days. 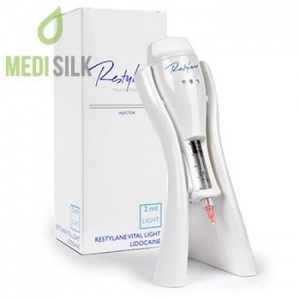 Nursing or pregnant women, allergic people and people with sensitive skin. Do not use Surgiderm 18 in conjunction with other dermal procedures, such as invasive laser therapy and deep abrasive skin cleaning.